Today my beautiful and talented friend Carla dropped in on Vancouver for the day - actually. She flew to Van to renew her license and is flying back home as I type! What's great about this is I get a dose of Toronto hang time mid-week to help stave off the blues. Not that I have a serious case of them or anything, but this was a great infusion of TO-ness. Carla Is the Cake Baker, making delicious, healthy, artistic treats. She does all sorts of beautiful work and people go crazy for her designs as much as her flavours. 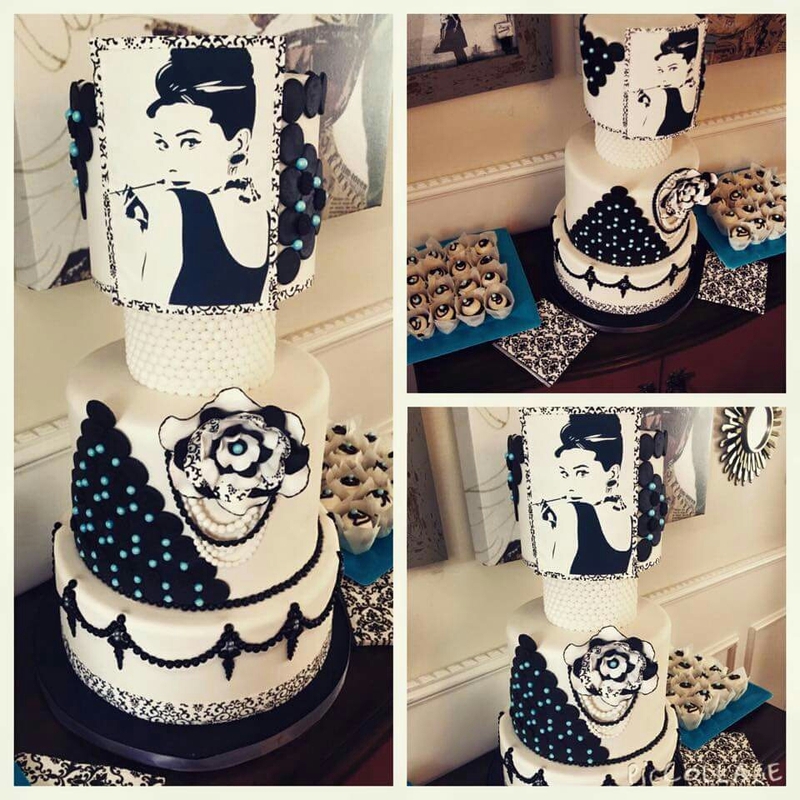 You can see a sample of her work at The Caker Baker but for the real deal experience, get her to do your next event! This is obviously an Audrey Hepbourne inspired cake creation. Together we met up with Katie and Andrew again for some pizza at Nicli. Good spot. Great company. We talked shop, VanTO differences, and future plans. So exciting to be around such inspired individuals! Today is the first rainy day I've seen and to be honest it isn't terrible today. I've had too much coffee, but beyond that, not terrible at all. I also learned that buying bus tickets is almost as frustrating as riding the bus, thanks goodness! A little highlight above and beyond hanging with great friends was going to Beaucoup Bakery and eating this delicious little piece of Hell. Holy Moly I can never come back here! Off to work. On the audition front, it has been quiet this week. I'm working overtime to take nothing personally, and to not judge or place value on anything. They will come. I have built it. Thanks Field of Dreams. I also got a great message of support from an artist I really respect who recently shot a short film I did. He just put his house up to fund a film he believes in. That's what I'm talking about! Then I ate this. Its amazing. Now I need to run. But instead I go to work. It's a buffet out there right? Who's hungry?